Look like an A-list celebrity in La Femme 25824! 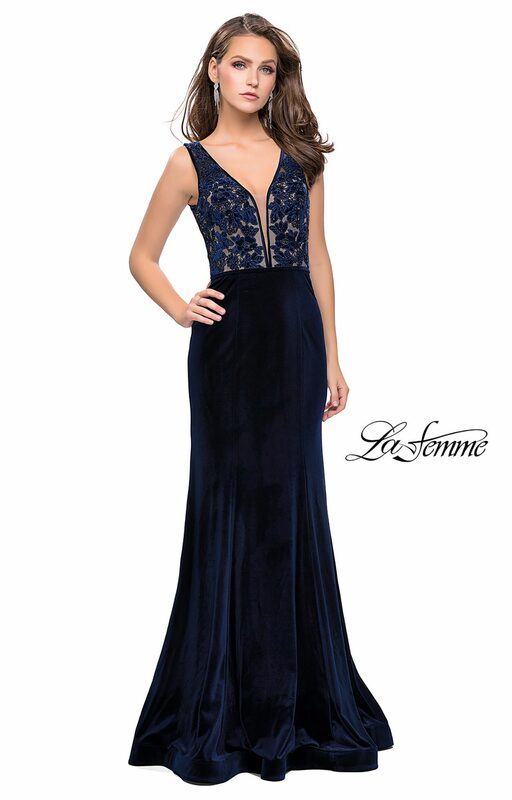 This striking formal gown showcases a sweetheart neckline bodice with straps and beautiful beaded floral appliques scattered throughout. 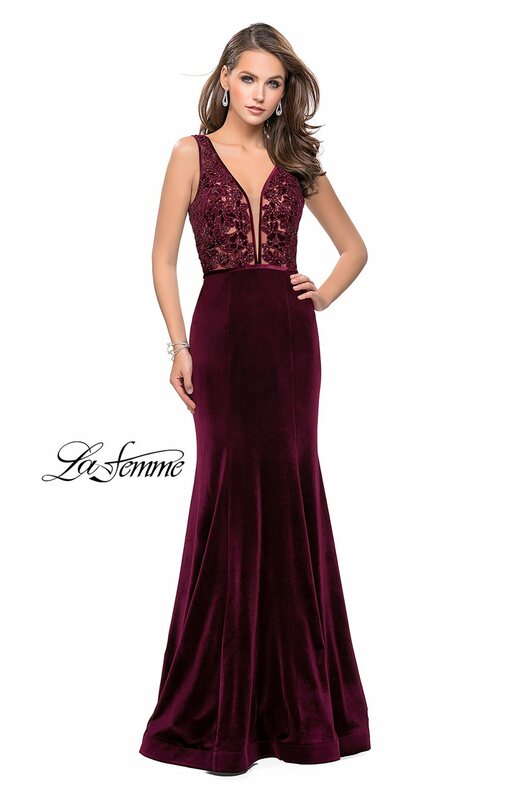 The fitted velvet skirt puts the cherry on top of this luxurious formal gown!